I'm a magpie for new products, so when I popped into Superdrug this week and saw a range of new Garnier tissue masks, I was drawn in. 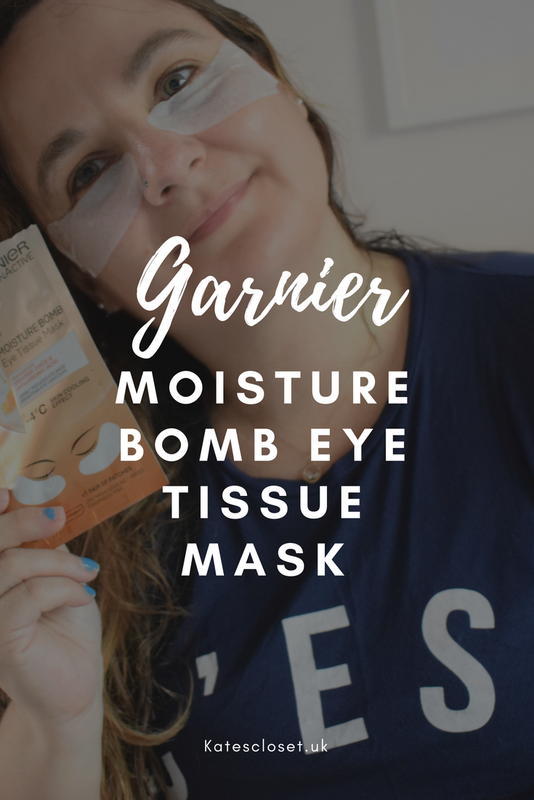 I picked up two, but today I will be talking about the Garnier moisture bomb eye tissue mask. 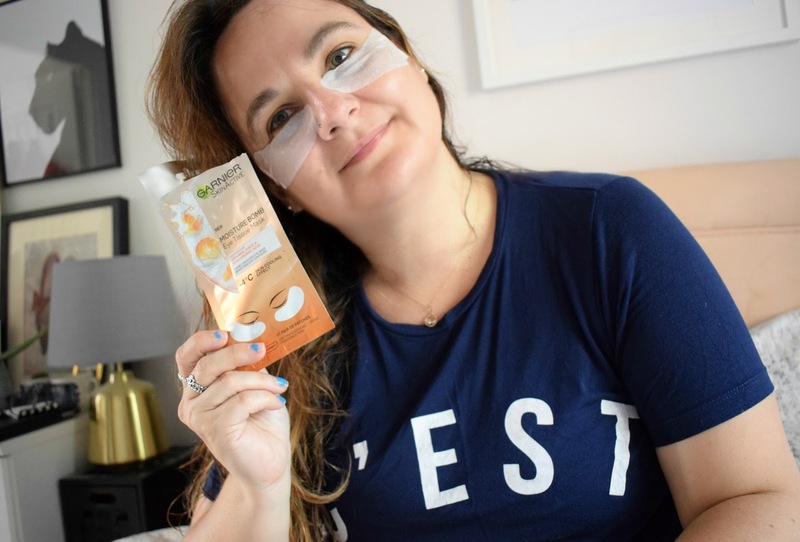 If like me you haven't been sleeping well, during this hot spell and your eyes are looking and feeling tired and dry, You might want to try this eye mask out. It works the same as any tissue mask, apply to the under eye area, leave on for 15 minutes, remove and pat in excess product. 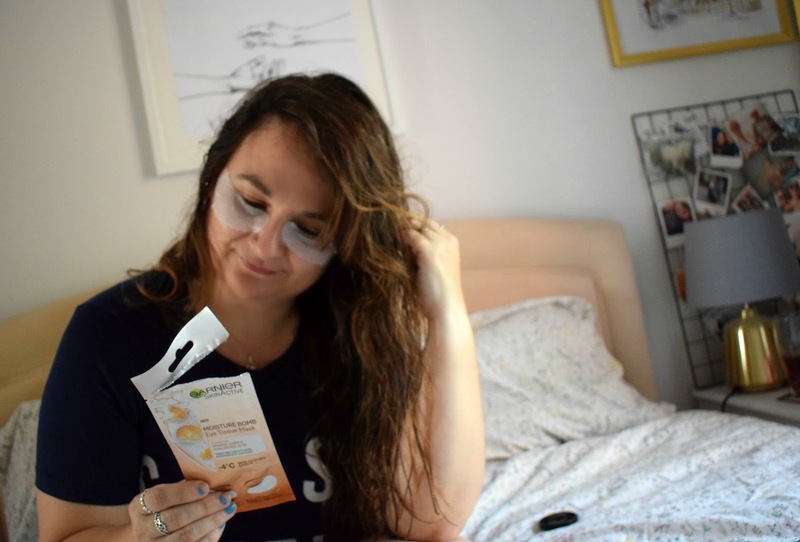 The moisture bomb eye tissue mask is enriched with orange juice and hyaluronic acid, to cool and brighten the under eye, I put mine in the fridge overnight for even more cooling power. So come on does it work? The moisture bomb eye tissue mask, definitely cooled and refreshed my eye area, it feels pleasant to wear, and has no scent. The skin around my eyes feels softer and hydrated, I do suffer with dry skin in the eye area and this has really helped. 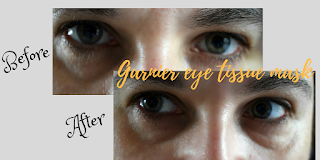 I can see a slight difference to my eye bags, I think the area does look a little more plumped up after, but nothing hugely dramatic, not that I would think it's possible to get rid of my eye bags, they have taken years to establish, maybe with continued use they would improve. If you are looking for a quick fix, to freshen and cool your eyes in this warm weather, I would certainly recommend picking up this Garnier moisture bomb eye tissue mask. I love the look of this! Thanks for sharing the review.